For students. Only a fair credit score is required. While the regular Discover it credit card requires an excellent credit score in the low 700’s or better, Discover it Chrome for Students only calls for a fair credit score in the high 500s – provided that you are a student. This is a great alternative for a student that doesn’t have much credit history and needs some time to build up a better credit score. Of course, being responsible with your Discover it Chrome for Students will increase your chances of eventually obtaining the coveted regular Discover it credit card. 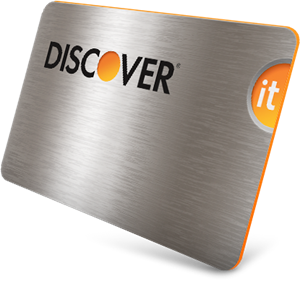 The Discover it for Students credit card is issued by Discover Financial Services, Inc.
You do not pay any annual fee for your Discover it for Students credit card – perfect if you are on a typical student budget. You get a 2% cash back at gas stations and restaurants, up to $1,000 in combined purchases per quarter. For all other purchases, the cash back is 1%. Introductory offer: During your first year with Discover it for Students, all cash back is doubled. Introductory offer: 0% APR on purchases during your first 6 months with Discover it for Students. To encourage students, Discover it for Students give you a $20 cash back for each school year (max 5) where your GPA is 3.0 or higher. Plan to study abroad or maybe go on spring break abroad? You’ll be happy to know that the Discover it card for Students comes with no foreign transaction fees. Many students use the Discover it for Students credit card to build up their credit score while in college since they want to leave college with great opportunities when it comes to credit, e.g. to buy a house or condo. To help them along the way, Discover gives every card holder free access to their most FICO credit score. You will also be able to see the key factors in your credit history that has had the largest impact on your score. This credit card is only available for students. Compared to VISA and MasterCard, Discover is less well known outside the United States and in some countries you may have difficulties finding outlets that accept your card. This information was obtained in 2016 and concerns the U.S. market. It is always a good idea to visit the Discover site to make sure you get the latest updates before you make any decision. The purchase APR is variable, from 13.24% to 22.24%. Everyone can make a mistake. Discover it for Students will not charge you any late fee on your first late payment. Paying late won’t raise your APR. You can pay your bill up to midnight (ET) on the day it’s due, by phone or online, and it will be considered paid on time. There is no overlimit fee. The Freeze It feature makes it possible for your to instantly switch of your credit card if it is stolen or misplaced. A switched off card can not be used for purchases, cash advances or balance transfers. You can access Freeze It online from your computer or smart phone. If you locate a misplaced card, you can unfreeze it. Cash back will not expire as long as the account is open. 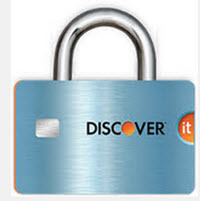 The Discover it for Students credit card is issued by Discover Financial Services, Inc. 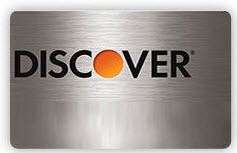 In terms of cards in force, Discover is the third largest credit card brand in the U.S. Discover Financial Services, Inc issues their cards directly through its own bank – the Discover Bank. This sets them apart from both Visa and MasterCard, which operate under a different model and issue their cards through independent banks. Discover Financial Services, Inc. has their roots in Sears, which created the very first Discover card back in 1985. Discover Financial Services Inc is today a huge company which is listed on the NYSE (as DFS) and included in the famous S&P 500 Component stock index.